I'm pretty certain The Amazing Meeting (TAM) is an awesome event. I say pretty certain because I've never been able to afford it. It's in the USA and is part of that Las Vegas Big Conference wizz-bang that puts it out of my price league. Surprisingly becoming a Doctor of Astrophysics didn't create the defacto independently wealthy lifestyle one might expect; Doctor Who lied to me. But now that it has come to London.... and, well, I still can't afford it. I state this not to moan about the price (although I will discuss it) but because I write from a position of ignorance and want that to be understood from the start. 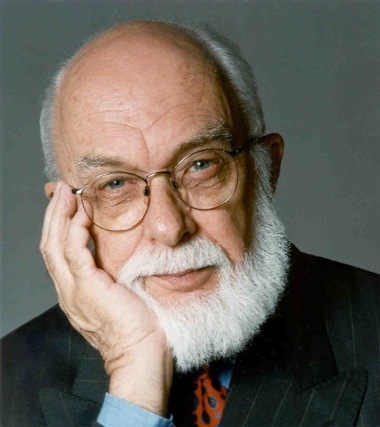 First, I think it is important that I take a few paragraphs to emphasise how important the James Randi Educational Foundation is to me (but feel free to skip to the nitty gritty). After reading swift for what seemed an age I joined the forum back in January 2002 (eons ago in internet-time). It was the foundry that pushed me into becoming a blogger. As a child I was obsessed with the Paranormal/UFOs and the like. I had so many books on the subject that they filled a giant 6ft chest. My first Wünderkammer. This was pre-internet so I would rummage around boot sales and 2nd hand shops picking up exciting looking tomes of forbidden knowledge; everything from Ancient Civilizations to Zombies via Ball Lightning, Cryptozoology, Kirlian Photography, Psychic Plants and so on. Then later, starting 'big school' a series of excellent teachers awoke within me a love of science. Now science is not a series of facts but a process. Once it gets under your skin your can't help to apply that logic to every aspect of your life and interests. And so my obsession with the paranormal met the scientific method and piece by piece it crumbled. I took my beloved interest and tore it down piece by piece day by day. But it wasn't tragic or sad. It was enlightening. I was working out how wonderful the real world was - not this make believe one I inhabited previously. My only frustrations were aimed at the authors who I could see intentionally recycling claims long ago disproven. I felt alone and voiceless; there was this community of paranormal researchers and I had no voice to hold them to account with. And the JREF changed all that. It wasn't until university that I personally acquired a consistent internet connection (a statement that on reflection seems preposterous) and would waste so long in the library hoovering up not just information but the realisation I was not alone. James Randi - my god damning hero. Now there is such a huge skeptic and new-atheist movement that it seems crazy for someone of that inclination to be so isolated. But I was. The JREF's outreach activities directly lead to this blog and to who I am today. I briefly met Randi at 'An Evening with James Randi and Friends' and it was a huge moment in my life. So lets make this clear — the JREF and James Randi are massively important. Not just to me personally but for our society. But one of skepticism's strengths is self criticism. Lets start with the price. The ticket for TAMLondon, is £220. Some people have argued that this is extortionate. An Evening with Randi and friends, had 11 speakers and cost £11 for about 300 people. A five fold increase in seats and the cost rising by a factor of twenty is quite shocking at first glance. But it is preposterous to argue that JREF are ripping people off because: a) they are holding the meeting in a central London Hilton Hotel which doesn't come cheap, b) there is an International line up of speakers to fly in and c) it's raising money for the charity that is the JREF. d) the first TAM:London cost £150 (ish) and sold out not in days, but in hours. The demand, even at those prices is there. So the price is well justified, despite how counter intuitive it first appears that as attendance numbers rise so do the costs. That said I do think there are a number of valid concerns to be raised about the price. It can be argued that the JREF is a primarily American charity and that the money it generates could be better used by the British skeptic movement. The counter argument to this however is three fold. Firstly the JREF output is not solely contained within the US and with so much output being online it helps the entire globe (I can't forget how it helped me here in the UK for example). Secondly I think many of us here in the UK and Europe see America as the primary battleground. That is where the nonsense is strongest and needs the most attention. I think we want to help in that battle and so the donations are willing. The issues the JREF highlights are global and not limited to just one country. Thirdly it assumes that without TAM:London some magical British based TAM would appear. Nevertheless, I've done voluntary work the British Humanist Association (ooh get me!) for example. And so I can state first hand how much support they need and what such good work they do. I feel that many of us in the UK are often distracted looking at the crazy nonsense that occurs outside the UK to properly pay attention to that which occurs within it. It is important to note that that is not a criticism of TAM but of ourselves. The second main issue with TAM:London is it's purpose. It is not an outreach event. It is not intended to win over or convince people of the need for Rational Thought. The FAQ makes that no clearer than when it details how any video content posted to the net taken at the event will be removed. As such it is neither a medium for the publishing of new findings. An academic conference would jump at any such publicity. At least in my own experience. And so that leaves the fact that it is a show. A piece of entertainment. Again, for the record, that isn't criticism of TAM:London — thats a completely fair position to take. One I would pretty much take if I was running TAM (see my 'solution' later). So what are we left with? A 1,500 seater venue of skeptic celebrities preaching to the converted whilst raising money for their organisation of choice. And not a british church, but an american one, with american sensibilities (or that crazy one in south london). A Megachurch. That sentence sounds bigoted and horrible. It isn't meant to be. I'm a regular at Skeptics in the Pub in both Holborn and now Westminster (say hi next time!) and have spent the last few debating with friends whether this low key event that takes place in a pub basement is becoming churchlike. Whether it preaches to the converted and does nothing but support previously held beliefs. Occasionally it can remind you of that - but it is a truly wonderful and important event that I recommend to every one of you. It is open, extremely cheap and works hard to make the world a better place. Ten23 and the Libel Reform issues wouldn't be nearly as successful without it. So why does TAM:London leave a number of us feeling slightly uneasy? I think because it represents such big business. Many skeptics are critical of things like big church congregations, Woo conferences and exhibitions. And as nonsensical as it is to compare them it's hard not to feel like a certain amount of moral high ground is lost when we have what amounts to our own. A critic can point to it and say: "look, you just like to go and hear people tell you that you are right!" and one can't reply: "it's not like that, come and see!" Because they can rightly point out the barrier of entry being £220 high. Skepticism is about self criticism and not becoming complacent in ones views. But if we become people self supporting our beliefs who go to events to enjoy being enraged by woo, then we are using anger, frustration and being eghast as an entertainment. It would be disastrous if people accused TAM of selling that in the way that Mr Alton Towers sells his rollercoasters. So what do we need to do? We need to do the boring thing and reach out to the believers and the unaware. When we are ridiculing woo and faith and bad science it needs to be in a manner that allows people to hear. To jump aboard and see. To be inspired and realise that there is a different way. If they see it as a different kind of church where believers pays hundreds of pounds to be told their right then we will push the next generation of skeptics away. We do not want to appear to be sitting in our ivory towers laughing at the idiots below. We want people to know that our ivory tower has a lift and you can come and join us (I refuse to accept any negative connotations to ivory towers as they sound far too awesome). To end I want to reiterate, I'm not saying TAM is bad. I love the JREF and would go if I could afford it. But I do think that we need to think carefully about what impression it gives. TED — a role model, and solution. To be critical without any suggestions for improvement would be too much even for me. So here's my simple solution. It needs an openness it doesn't currently have and taking a leaf out of TEDs book I think there is a way around that. TED is another preposterously expensive conference (It's almost a $1000 to get just a live web feed!) that could do huge damage to people's view of science except for one brilliant move. Rather than appearing exclusional, it has become a huge tool for good with it's free broadcast of talks given. Once a week for the year between TEDs these talks keep interest high, illuminate and inform the masses and makes the conference transparent. With the support of the speakers at TAM:London this approach would prevent the criticisms I've detailed here. Currently TAM:London just has a single video from last year. So I call on TAM:London and its speakers to follow TED and turn a meeting that currently appears insular and segregating into a huge outreach and educational resource. Make the talks free. Slowly. Drip by drip. Over the year. I don't believe it will cost you money. If anything I think it will increase DVD sales and grow the meeting. I suspect it will increase demand for next years tickets. But more importantly it will raise awareness and place skepticism above reproach. Are my feelings justified? I don't believe they necessarily are. But not being able to afford to go, I can't say further. In the interest of full disclosure - I've applied for a bloggers press pass to visit TAM:London. I actually agree with you on some points. I was able to afford the airfare and hotel cost to stay in London last year - which isn't cheap. I have also been able to afford TAM in Vegas for several years, which is a relatively cheap vacation compared to going to, say, Europe or New York City, but more costly than camping in the Rockies. Last year, the Vegas TAM was shown live over the internet for much of the conference. Some of my friends, who were unable to attend in person, said they remained glued to their monitors for both days. Sure, they missed out on the community aspects, but got to see the actual presentations. And ticket sales did not seem to suffer, as they had a record attendance last year. I realize that was not the case at TAM London, and that it won't be again this year. I do not know the reason - unless it is fear that they will not sell out and have enough money to cover the undoubtedly high cost of renting the conference room for two days. That's certainly a valid concern and one reason that US football teams often black out TV coverage of a game in the city in which the game is held. Perhaps there might be copyright issues with some of the speakers, or with their visual aids, which would have to be worked out on a case-by-case basis. UK law is different that US law, I'm sure. I am in NO WAY criticizing the organizers of TAM London. I think they did a fantastic job, and the conference was everything I could have wished for and more, which is why I want to go again, even with the expense. Tracy and the others deserved nothing but praise, and I mean that quite strongly. 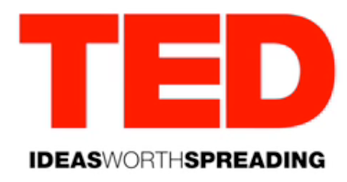 But I agree that showing some of the presentations such as the TED conference does, would be a great thing for skepticism. I'm not criticising the organisers either. They've put together a wonderful show and it is a huge achievement. I'm hugely thankful and appreciative for their work. As the first TAM:London sold out within an hour I'm pretty certain they have nothing to fear from the extra exposure that TED style show releases would bring. And if they can release a DVD I'm sure they can do the same for youtube videos etc. That said, I'm well aware that if they took up this proposal it may have to wait till 2011. Thank you very much for this post. It sums up my own feeling almost exactly, and it does so more coherently than I've managed. I couldn't work out exactly what it was that made me just slightly uneasy about TAM London. The cost was one thing for sure, but the unease went beyond that. Your analogy of it being church-like is quite brilliant I think. One of the attractive things about the recent rise in scepticism is its individuality, even mildly anarchic nature cloned sceptics would be little more attractive than cloned vicars. The next thing would be degrees in scepticism, and statutory regulation by the General Sceptical Council. Expensive conference in Hilton hotels are for drug reps and PR people (and, OK, I know, increasingly for scientific conferences. Somehow they don't quite fit with sceptics, many of whom are scientists (and therefore not wealthy) and who have to pay for themselves. I guess one great virtue of this post is that I know I'm not alone. Congrats on a good post - I was planning my own on TAM but you've summed up all of my major thoughts here - the exclsivity, the insularity, and the siphoning of "skeptic dollars", for want of a better phrase, out of the UK. Ultimately, I guess, TAM is a fund-raising event, and operated as such. It's a shame the organisers didn't try to temper that goal with the wider aims of JREF. TAM to TED. Very good point. Also, well made. Thanks. I don't see TAM as church-like. I see the Skeptics in the Pub, and the TAM events, and the increasing number of Meet-up groups, as being a rare place to congregate face-to-face with people who think as you do, and exchange ideas to take home and use to spread the virtues of critical thinking. I have little doubt that TAM London will be excellent, and I fully appreciate that this is a fund raising event. Thanks for the feedback on TAM London. I appreciate the concerns of everyone who feels priced out of the event, and I would like to assure everyone that we are working very hard to find ways to minimise the price, such as removing VAT liability if we possibly can. This may not be in place for this year though. I'd like to address some of the specifics in your post, firstly the idea of putting the talks online. This is something we have always planned to do once the DVDs are released, but as they have only just been edited and are still at the printers, it hasn't happened yet. The TED model is indeed our own model, so I would ask that people wait for us to be ready with the edits before judging. In fact JREF has been nagging me for a while for the DVDs so they can get talks online, I can publish those emails if you want evidence! In addition, the DVDs are available for around £40 for a 4-disc set of 14 hours of talks and extras, which I'm sure you'll agree is amazing value for money. So those who can't make it to the live event can still benefit from the talks or use them for educational value. That said, the community aspect is by far the best and most valuable thing, to me. You liken it to a church - I think it's similar in that a lot of likeminded people get together, but you could also say that about a music festival or any other gathering. If you haven't been in the company of 1000 other skeptics, I heartily recommend it. I use my annual holiday budget to go to TAM Vegas every year instead of a 'regular' holiday because there simply isn't anything quite like being among so many new likeminded folk and hanging out with old friends who I only usually get to interact with online. Regarding the revenue, the JREF already provides services for the UK and Europe, and that includes underwriting the massive cost of events like TAM London. But without revenue raised here, it is difficult for JREF to make investments here. Events like TAM London facilitate that. So what the community pays, the community will get back, it just doesn't happen overnight. I can say though, that there are several UK skeptic orgs that have benefited from TAM London. In addition, don't forget the opportunity for UK and European groups to promote themselves at TAM London, which is a very unique change to get in front of over 1000 of their potential audience. Regarding the costs - it is incredibly expensive to hold a quality conference in London, but the demand has been there for a long time. TAM Vegas is in its 8th year and one of the major criticisms it attracts is that it's too far and therefore too expensive for us folks in Europe. The registration alone is £312. So by bringing it to London, which is accessible to all of Europe, we address that issue - those who can't go to TAM Vegas get their own event, and the revenue raised helps JREF do its excellent outreach work. No-one is more aware of the costs than I am. I say that because I spend many months of my time working out how to make TAM London as affordable as possible whilst still being a world-class conference. The feedback from those who attended last year is that it was value for money, and although it's more expensive this year, that is a temporary situation until we can remove at least the VAT liability. This year will be even bigger, even better, and even more amazing. I truly do regret that for some, it's not an option, but the DVDs or the online talks, plus the excellent outreach work done by the JREF, does mean that the wider community benefits. I hope that helps, please do contact me via the website if anyone has any specific questions before tickets go on sale. Ha! I left out one really important point: there is a fantastic TAM London fringe which is comprised of free or very low-cost events in the weeks before and after. Anyone can attend these. So those who can't make TAM London have many other options to join in the community aspect and see some good talks. Last year these included talks by Petra Boynton, Bruce Hood, a blogger panel with Rebecca Watson, Martin Robbins, Andy Lewis and Tim Farley, exclusive backstage tours of museums, and of course the essential pub crawl. UPDATE: Hopefully will be meeting @TAMlondon for a Q&A. If you have any questions you would like raised please let me know. Either in the comments or email at skeptobot@yahoo.co.uk. To Tracy's point about the fringe events, I'd suggest getting involved in organizing your own open event on the Barcamp model -- highly inclusive events, usually free to attend thanks to sponsor support. Open events will accompany many large and expensive events. Think Slamdance for the Sundance film festival. Or Austin Barcamp during SXSW (video). In many ways these parallel conferences provide as much value as the main conference itself, but in different ways. For example, Barcamps are known for introducing new technologies otherwise ignored by the curators of a formal event. Same thing for films at Slamdance. But I'd say the value is mostly in the interaction. Where a large formal event is basically a passive experience, an open event can be intense in its interaction, especially if you step up to offer a talk. We're mounting our fourth 'SkeptiCamp' event here in Colorado later this month (link). We're deliberately organizing it in a minimalist way, choosing a venue near food (to avoid having to provide lunch) and avoiding having to track down more than one sponsor. The astronomy department at a state campus is sponsoring a two-room venue. I understand there's a Facebook page being put together to organize such an event in London. See here. Such an open event could be a great complement to TAM London itself. I think your points about avoiding looking like a Church are good ones and TED is indeed a great example to follow when it comes to releasing the content for free. To me it's a holiday. To me it's a chance to meet people with similar views. To me, most importantly, it's a REALLY cheap ticket to a whole bunch of 'gigs' that I would have paid much more for. If you sum the price of a Tim Minchin gig, a few lectures and debates and throw in meals it is a very reasonably priced event. The large difference between TAM and church is that one consists of people distributing facts and the other consists of people spouting nonsense. One engenders and embraces debate while the other has no room for 'points of view'. I appreciate your point about TAM getting more TED-like to maximize outreach. Great point, in fact. I'm actually going to argue about the comparison to a church. Churches are the focal points of communities that meet week-in, week-out, and provide a constant community of support - as you say, for the like-minded. A yearly conference for an affinity group is very different. I think that's pretty clear without much further comment. The crux of my reply is to point out that a church community can be profoundly valuable for the individual. Whoa, I hear you saying, who that would read this blog and know about TAM finds value in belonging to a CHURCH??!? Well, I do. I'm an American atheist, and I'm very welcome at my creedless church. It's my community, where I'm known and know others, where we witness each others' joys and sorrows and celebrate and mourn together. But not once a year, every day. Please don't underestimate the value of that kind of community. Among true religious (now don't make assumptions about what I mean by that, either) liberals, we are certainly sometimes uncomfortable that our official name does include the word "church," because it brings to mind associations that do not hold for us; many would prefer the word "fellowship." But it does help me to maintain empathy for those whose religious beliefs are in fact prescribed and dogmatic, because I understand that for many of them their true benefit from their church is much like what I get from mine. Of course I cannot fully empathize, because they also may form judgments based not on rationality but on dogma and received wisdom - I cannot in any way congratulate them for that. But finding empathy, where it's real, for those other than ourselves is a good exercise. A greatly enlightening blog, thank you , however as a fairly new skeptic and passionate athiest (I have always been a relatively passive non-believer)I do have what I think is a valid point. I came across TAM by accident from Tim Minchin. If we are to assume a normal distribution curve of attendees then I am not alone when I say that even as an event that will preach to the converted, not all attendees will be at the same conversion level. I hope to gain inspiration from the event and of course much needed knowledge to allow me to discuss the issues with those who are perhaps not yet converted. Only this model of knowledge and logical spreading can work if we are to welcome those believers up our "ivory tower" of logic and science. However, you absolutely right to question all aspects of the event, if we cannot question, then we are no better than those that accept at face value, ridiculous claims and superstitions ! Tickets went on sale on May 29th this year, so if you start saving up now for next year's it works out to only £6 a week. The only skeptic that's being priced out of the market is the one who isn't organised enough to plan ahead. As a British-born Boston (USA) Skeptics in the Pub goer - I have been a bit shocked to learn that UK SITP events have charges on the door. Doesn't the pub just rake it in on the bar? Or are UK skeptics less boozy than the Yanks? Or are Brits too boozy in general, so the skeptics don't make a difference? Or are SITP organizers and speakers quaffing Bolle on the side? Apples and Oranges. a church gathers to indulge a line of crapola, and their motivation is usually based in some kind of fear or a blind adherence to the faith of their parents. skeptics may preach, but the gospel is an evolving body of the most cutting edge evidence known, and will change to suit said evidence rather than the opposite. The similarities are menial, and the differences vast. I agree with some of your other points. 0728jejeQuel air jordan en chile est le point dans un briquet qui ne Nike Air Max 2018 Chaussures s'allume pas ?! Les meilleurs new balance chaussures de running briquets s'allument à chaque fois, sans basket new balance nancy exception. Stetson, le fils sandale nike benassi swoosh homme d'un chapelier, a remarqué le don nike presto grise femme de tête inadapté, il a chaussure homme nike air max 90 pas cher décidé de façonner un chapeau plus fonctionnel.